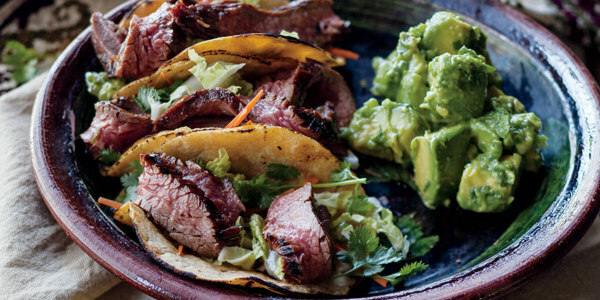 Steak with red wine sauce in just 30 minutes? Yes, please! Who says you need hours to make a restaurant-quality meal? 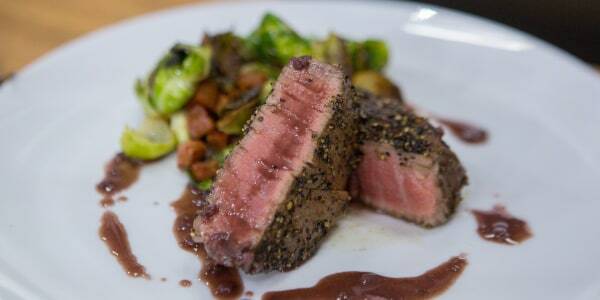 Curtis Stone stops by TODAY to prove you don't with his easy recipes for steak with red wine sauce and Brussels sprouts with chorizo. The filet mignon takes just 30 minutes from start to finish, while the Brussels require just 20 minutes of active time. 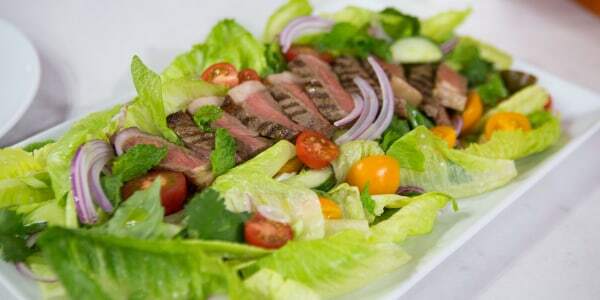 With a little multitasking, you can have a gourmet meal on the table in well under an hour. You won't believe how easy it is to turn your home into the best steakhouse in town. To get the perfect medium-rare, remove the steaks from the fridge fifteen to twenty minutes before cooking, and make sure you let them rest once cooked before serving. So, open up your best Cabernet (the one you've been saving for a special occasion) and toast the chef — that would be you. 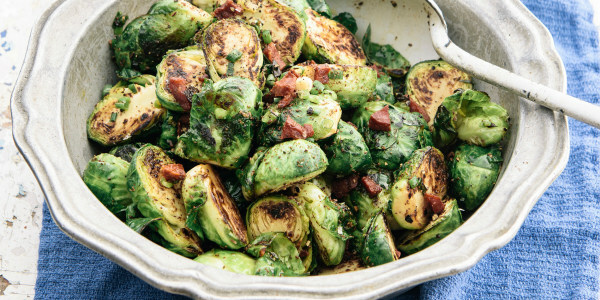 Brussels sprouts are an underdog vegetable that have recently risen up the ranks to become a cult culinary hero. In this dish, the smokiness of the chorizo and the rye bread flavor of the caraway seeds play against the caramelized sprouts to extraordinary effect.